2017 miata question - Miata Turbo Forum - Boost cars, acquire cats. i would realy like to have more power. right now i have a 2017 club with a openflash stage2 tune, openflash header, and a colbalt exhaust. the turbos and superchargers seem to be from 4-6k$$. 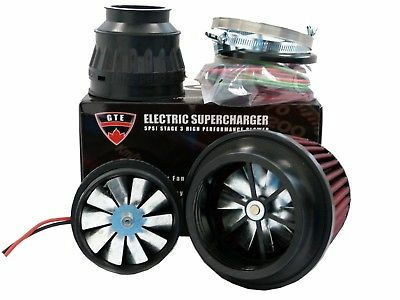 i saw a turbo kit on ebay ( https://www.ebay.com/itm/DIY-Combo-R...3e1:rk:31:pf:0 ) is this garbage or what. I would just do a huge nitrous shot. Way cheaper. Only idiots spend $4-6k on old tech turbo setups. Be the coolest kid on the block, newest tech electro-hybrid charger! Dont boost to much with this charger or you'll blow your 6 speed. Stay under 50psi or so. never mind, i see this isn't the forum i need to ask questions. I would be much more concerned with the fact that you think 4 to $6,000 is too much money to afford when you are playing with a 2017 model car. ECU, injectors, and wideband will cost you $2,000 at a minimum before you even start looking at turbo parts. I'm hoping you aren't still making payments, which would make it an even more foolish question. You will find the cost of doing things wrong is far greater than the cost of doing things right. We are cheapskates here, most of us, and if we think that kit is a joke that should tell you something. Just took a closer look and that eBay ad. It says comes with everything in the picture. Do you happen to see an exhaust manifold in the picture? How about a downpipe? I see a $100 pile of intercooler pipes and couplers, a $100 intercooler, a $200 82mm(!) Turbo, a $30 blow off valve and $50 wastegate, and a giant Chinese tachometer of unknown retail value and no real use to you. The ad says no instructions provided, but we kind of know what is required. Open the hood. Open the box. Dump contents of box under hood. Close Hood. Call a tow truck. Pay a welder $1,000 to make you a fabricated manifold. Pay him another $700 to make a down pipe that fits (ugh, EWG). Then spend $2,000 on ECU, injectors, wide band. Then spend $120 replacing leaking Chinese blow off valve. Then change transmission, engine, and finally turbo because and 82 mm turbo will destroy the transmission (which is known to fail at stock power) and engine (which has a very high compression ratio for forced induction) and that size turbo won't actually start making power and till 6000 RPM. Do you require any further help or does that cover it? yea. i'm done. garbage would have been easier and quicker to say.